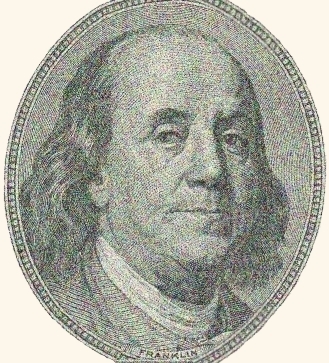 Like “Fast, Good, and Cheap: Pick Two,” Franklin’s quote drives home the relationship between price and quality, that is, when an overly cheap product is marketed, quality suffers because the vendor must cut costs somewhere. An easy cost-cutting strategy is to skimp on customer support since product features can still be demonstrated; the assumption being that sales won’t suffer. Also, it’s challenging to demonstrate customer support so vendors may only provide anecdotal information, if it’s discussed at all. Based upon my experience with customers that have changed to the Gyrus Systems GyrusAim LMS from alternatives, customer support is extremely important where quality is not optional, it’s required. Service problems described by customers that had used inadequate support departments range from never getting hold of a live person to being forwarded to a call-center where the service rep “helps” by reading from a list of FAQs because they don’t understand the product. Customers experiencing these problems truly understand “the bitterness of poor quality.” The “sweetness of low price” is long forgotten because the lack of support creates stalled training programs and untrained learners, not successful end results when using an LMS. At Gyrus Systems quality customer support is a priority: We want long term customer relationships, not a quick sale. We invest in the personnel and develop the processes required to deliver top-notch assistance. For example, we don’t rely on a voicemail barrier when customers call. Instead, we answer the phone. The person that answers is not at a call-center either, it is a Gyrus Systems employee that’s deeply involved in product development or support. The end result is customers speak with a resource that understands the product. In fact, all of our employees know our customers by their first name. Not all customers need help, however when they do, the responsive and dedicated Gyrus Support Team is available so our clients will not experience the bitterness of poor quality support. Ben Franklin would be proud.